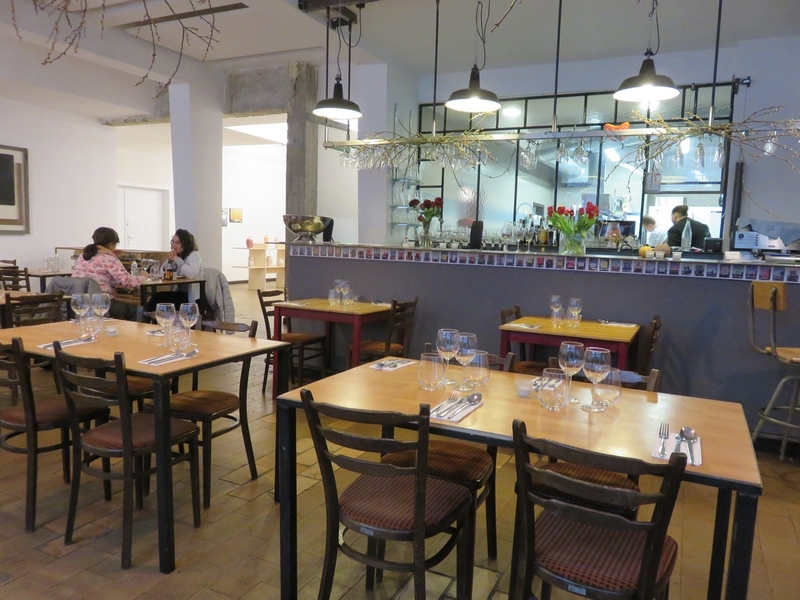 Restaurant review #113 – Como en Casa is a new vegetarian restaurant in Liège (opened at the end of 2016). It is in the city center of Liège,not so far from the Place Saint Lambert. 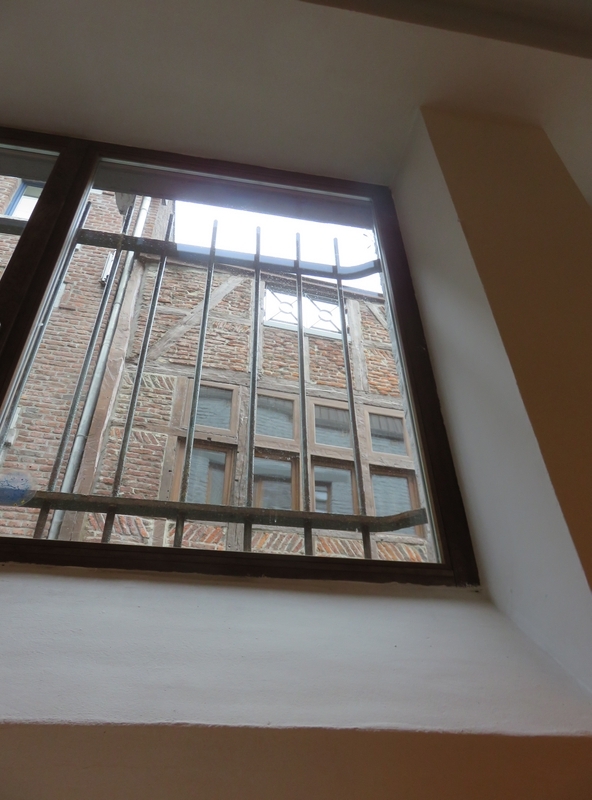 We were here a couple of weeks ago when we visited Liège for the exhibition of Zoo Humains (blogpost following). I made a reservation for two for lunch that same morning, but there was still plenty of pace (this was on a Friday). Como en Casa is a nice spacious place. It is nicely decorated and there is a smal exhibited with art at rear end of the restaurant. Upon entering, we were quickly greeted by the waitress. 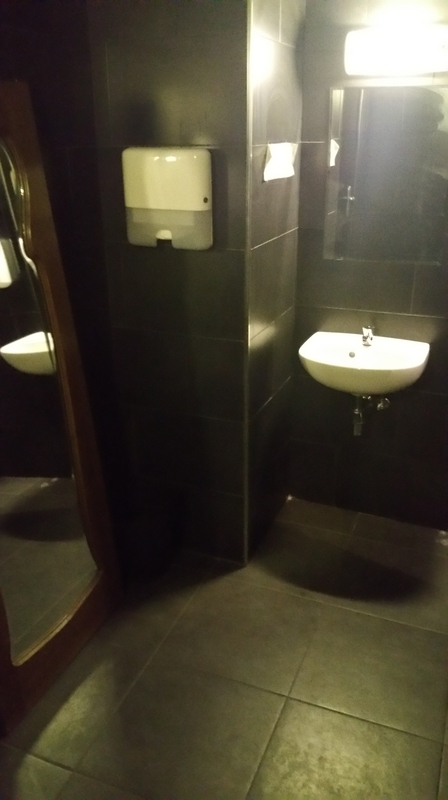 Service was very friendly. 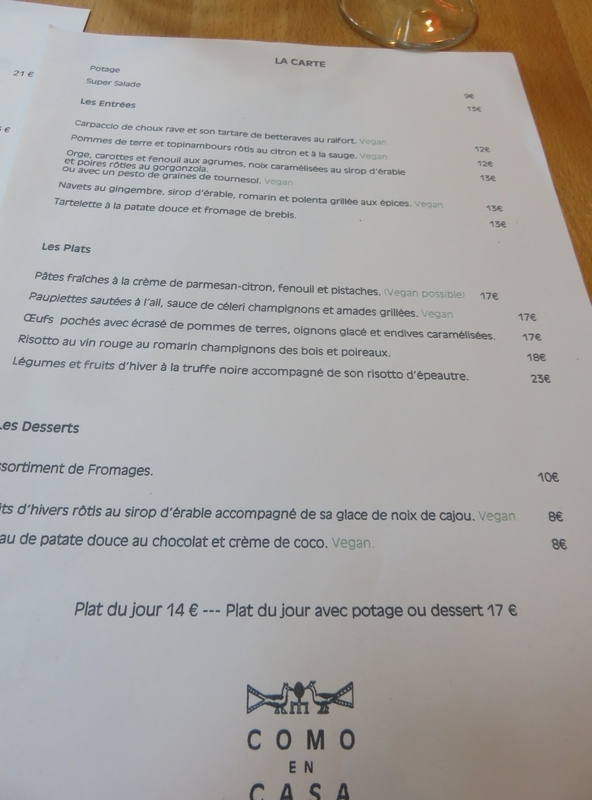 We tried our best French and mentioned we are vegan (végétalien) in French, and were quickly reassured that vegan items are indicated on the menu. 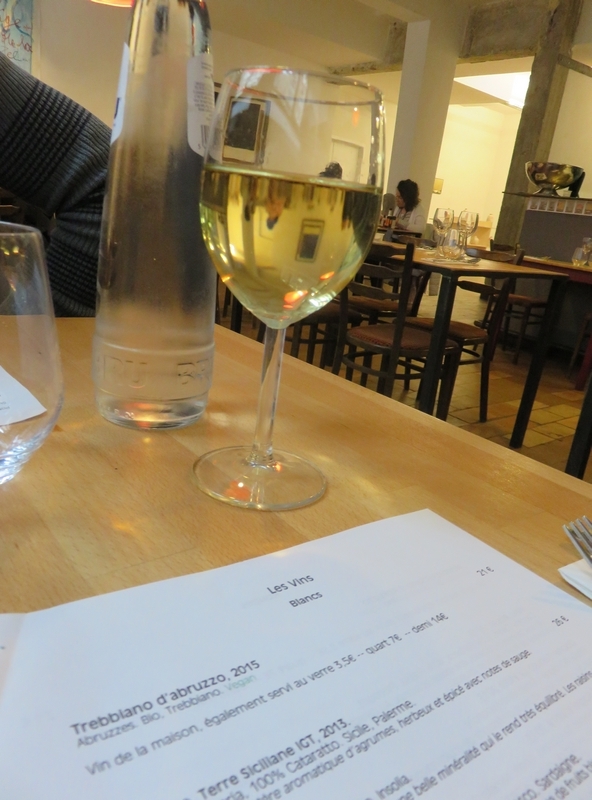 The wine list also indicates the vegan wines and the house wine (per glass) is also vegan. 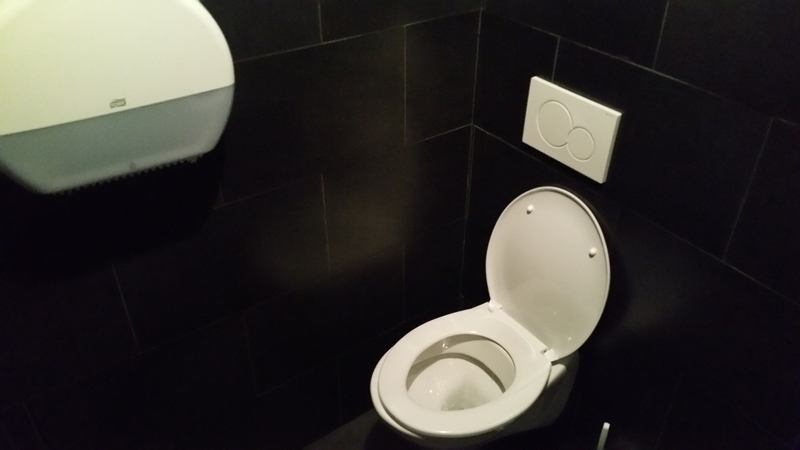 Nice to see a restaurant in Belgium paying attention to this! We both ordered a different appetizer. 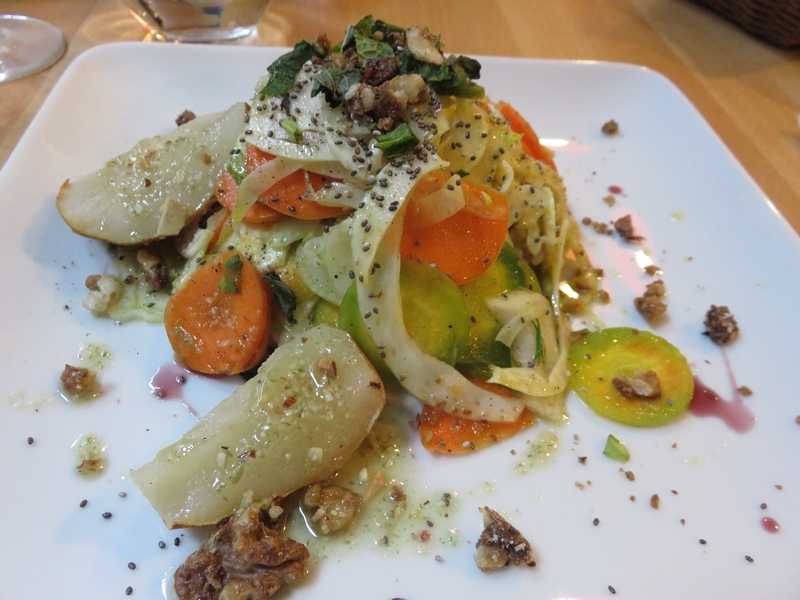 Fried potatoes and jerusalem artichoke, in lemon and sage (12€) and barley with carrots, fennel, citrus fruit, caramilised nuts and maple sirup, with pesto from sunflower seeds (13€). 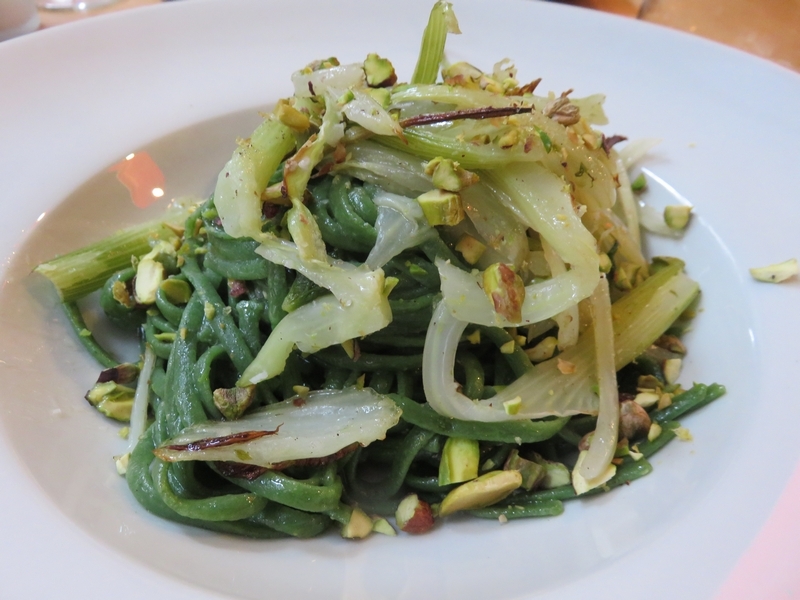 For main dishes we ordered pasta with fennel and pistache nuts (17€) and the paupiettes in garlic sauce, with celery and mushrooms (this was served with rice) (17€). Bottle of water (0,5L) was 5€ (a glass was 1,90€). Glass of wine was 3,50€. 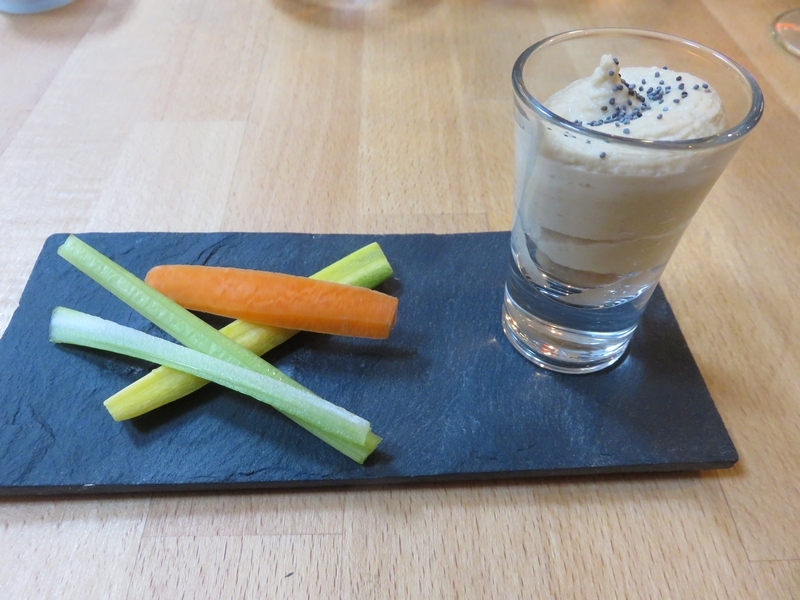 We got a small amuse gueule with our drinks (with hummus, very nice) The appetizers were really large portions! 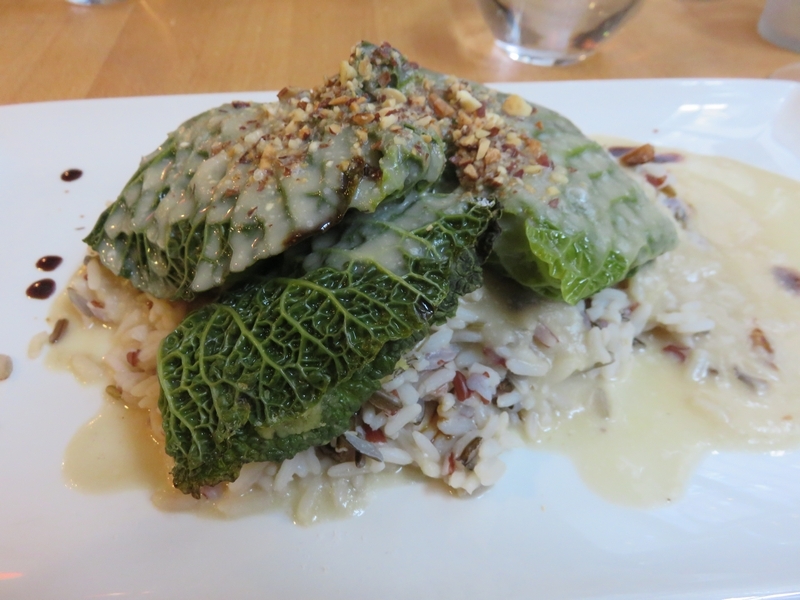 Especially the barley dish, which I could hardly finish. I could easily have had this as a light lunch. Really nice flavours, but too voluminous. It took quite a while before we were served our main dishes, but maybe that was a good thing considering we already had a lot of food to digest! 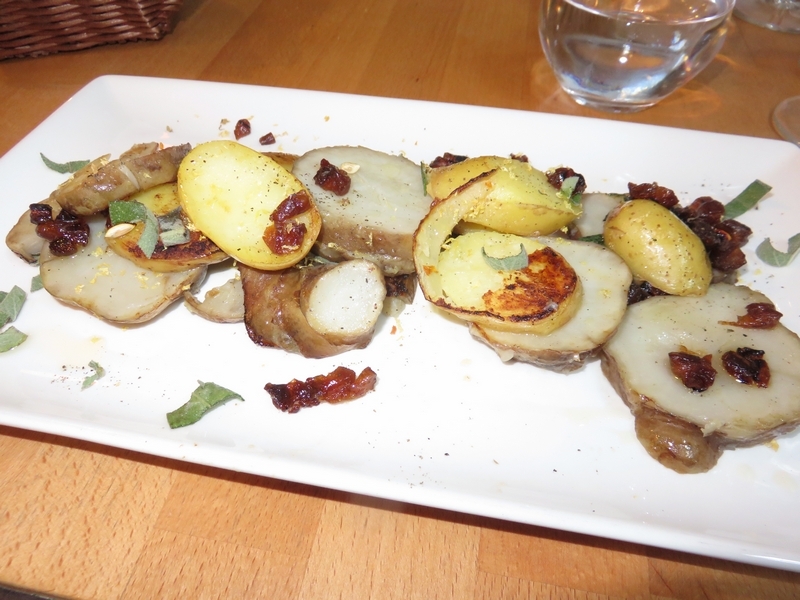 The portions of the main dishes were also more than enough. 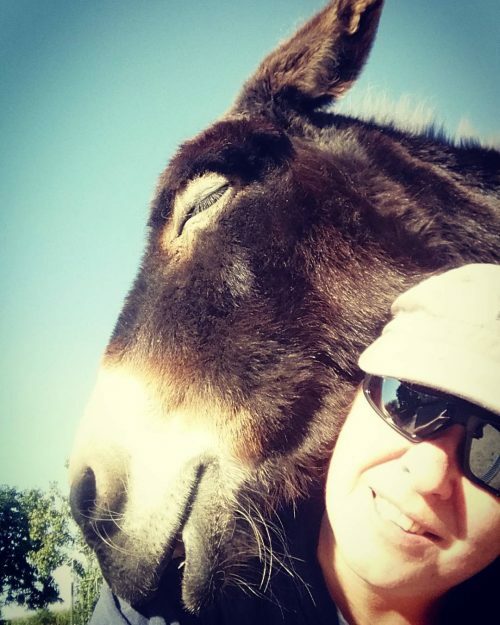 We both enjoyed the food, the pasta (with pistaches) was really salty though. Despite being really full, we could not resist ordering one dessert. We ordered one dark chocolate with coconut creme (8€) With deux cuillieres? (with two spoons?) the waitress already anticipated ;-). Indeed, with two spoons, to share. 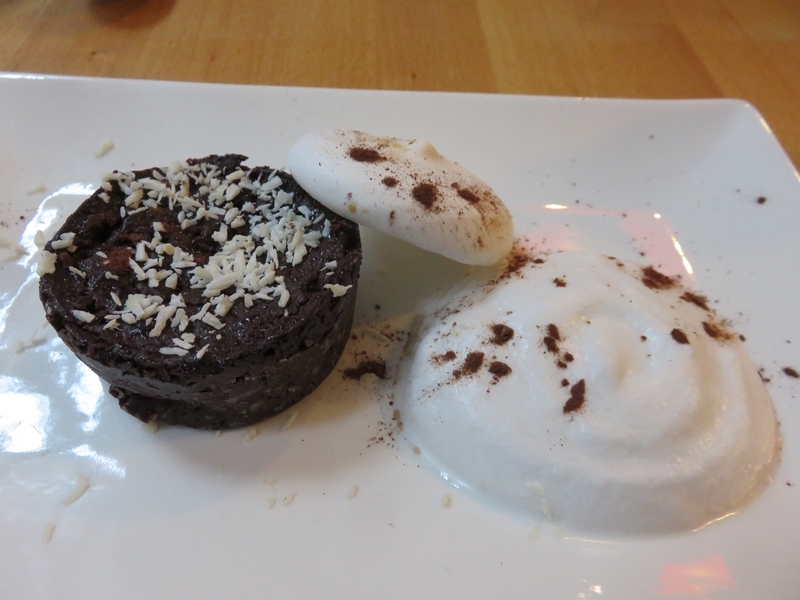 The dessert was nice, with a meringue made from aquafaba (it was hollow on the inside unfortunately). But 8€ was way overpriced. Como en Casa is a very enjoyable place, we recommend it! We really enjoyed the food: varied, freshly made and original. Appetizers and desserts were expensive though (maybe decrease the portions of the appetizers and the price accordingly? ), and the chairs are not really comfortable, but we had a very nice lunch. Would love to visit again when in the area. 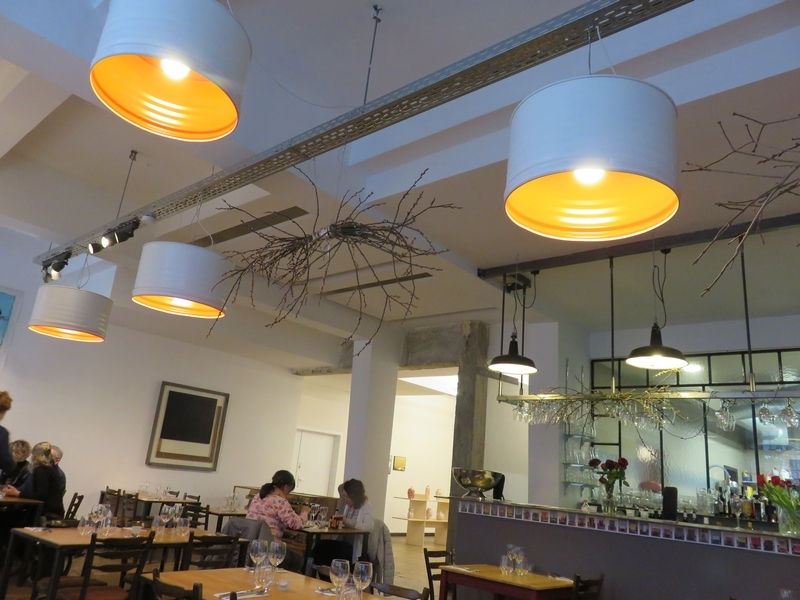 Como en Casa is just a 5 minute walk from GoVeg Vegan shop, which we already got to know at Vegan Summerfest in Ghent in 2016, and which we visited after our lunch at Como en Casa (See our review here).